it seems the age of self-lacing sneakers is upon us. following NIKE’s departure from laces with the release of its app-controlled basketball shoe, puma has officially joined the race. 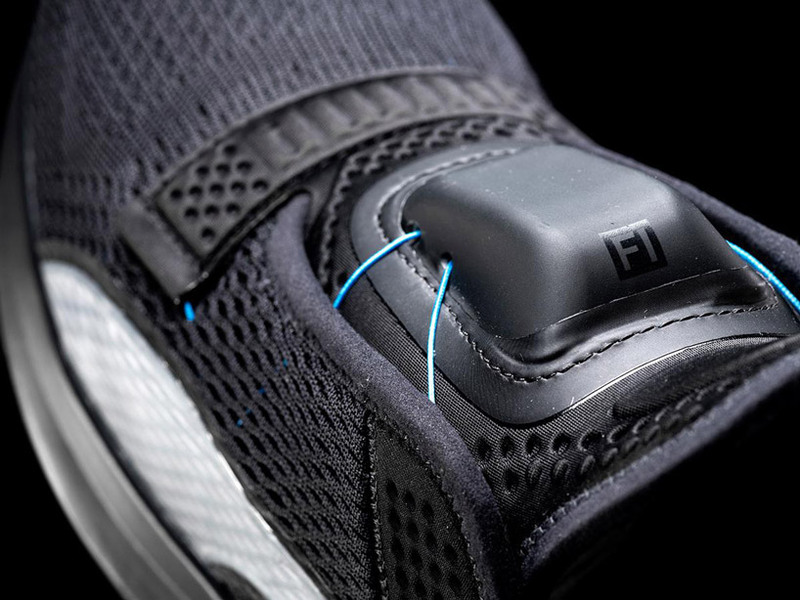 the sportswear giant has debuted its Fi footwear, standing for fit intelligence. puma‘s state-of-the-art technology platform is specially designed to automate and finetune performance fit for footwear. the first shoe in the Fi collection is a training shoe intended for workouts and light running. it employs a micromotor to power a uniquely configured cable system that ‘laces’ the shoe, either through simply swiping on the Fi module up or down. 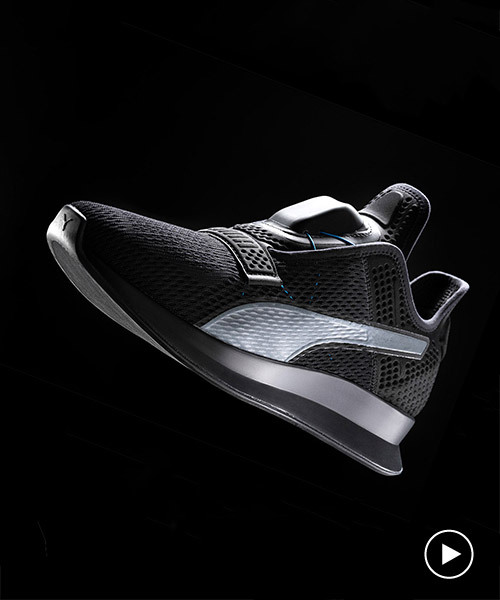 puma’s self-lacing sneaker comes with a smart sensing capability that learns the shape of the foot of each user and adapts the fit of the shoe to the individual. athletes can also monitor, adjust and finetune fit through a smartphone app. to make things even more athlete-friendly, users can make on-the-fly adjustments with their apple watch. 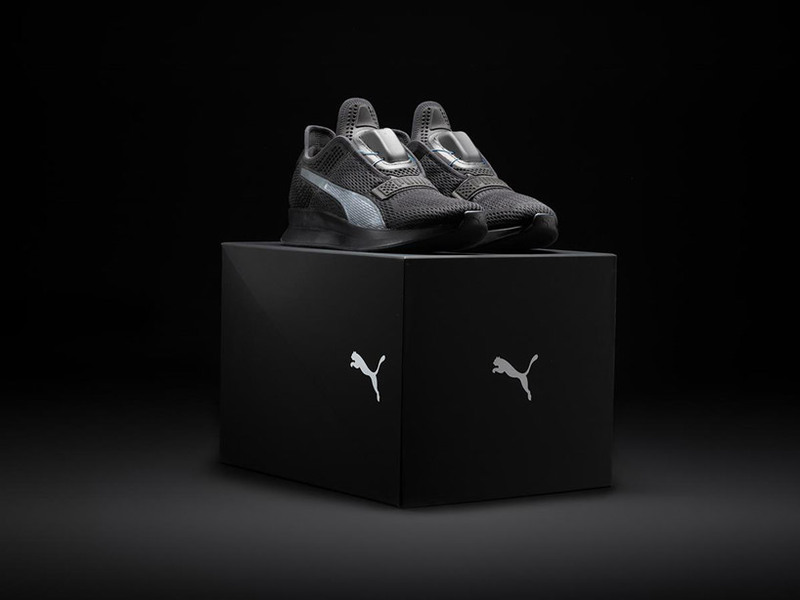 the shoe follows the puma’s release of its firs ever wirelessly connected adaptive fit shoe called autodisc in 2016. the autodisc was the predecessor to fit intelligence and since then, the company has been working tirelessly on improving functionality, user interface and durability. the training footwear features breathable uppers for more comfortable trainings and an industrial grade fiber support system strategically placed for optimal hold and a forefoot lockdown band. 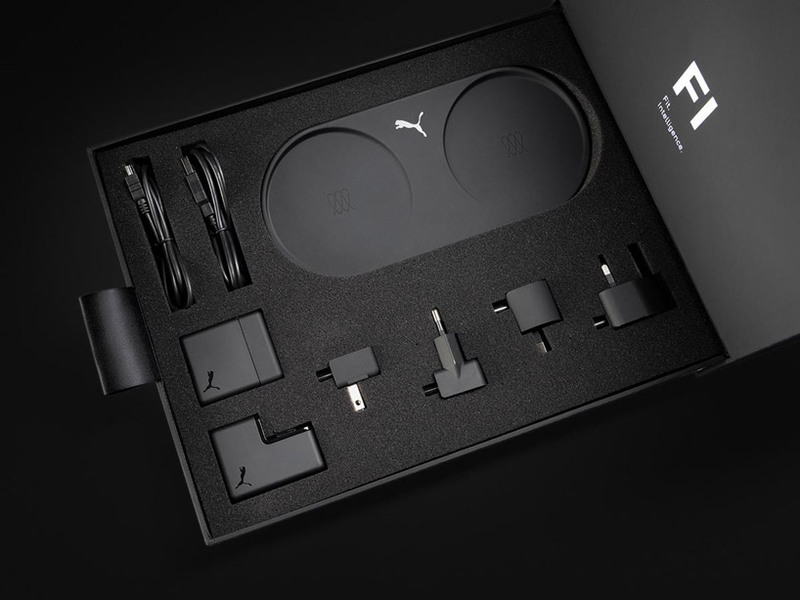 puma will let consumers participate in beta testing of Fi to help the brand think of ways of making it even smarter and more powerful. testers will be able to give feedback on the usability, design, engineering, and wearability of the shoe. anyone can sign up for the Fi beta test program through pumatrac, its training app which is available on the app store and on google play. the self-lacing shoe comes with a wireless charging mat to juice up its otherwise replaceable batteries. it will launch with a $330 price tag and be available in 2020.